There’s nothing more satisfying than finding a tool that’s perfectly engineered to its purpose. That’s why we’ve tracked down 37 of the most genius, ingenious, and altogether brilliant versions of products you’ll probably use every single day. 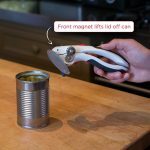 The second you open a can with this little devil with a magnetic lid catcher, you’ll wonder why we ever made them without magnets. It’s brilliant. 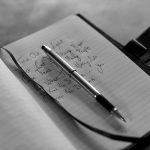 If you love a good ballpoint pen, the Cross Classic is for you. It’s timeless and classy and it will last you a lifetime. 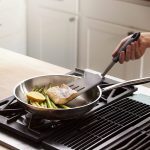 This set of three silicone spatulas comes with a standard spatula, a round spatula (perfect for pancakes), and a long spatula (ideal for fish). 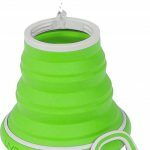 This water bottle collapses into a flat disc that’s super easy to pack with you when you’re traveling or embarking on a long hike. The design is funky and cool and it comes in six different colors! When you’re making coffee just for yourself, you don’t want to deal with a giant pot or a machine that can’t make exactly how much you need. 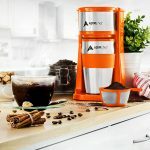 This perfect machine brews your coffee directly into your to-go mug for ultimate efficiency. 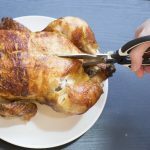 People swear by this pair of ultra sharp, ultra powerful kitchen shears that can literally cut a whole chicken in half. They have a nutcracker and a bottle opener built in, which just makes them that much better than the competition. While learning to tie your shoes is a rite of passage for young kids, we’re living in the future, and in the future, you don’t have to tie your shoes when you have these elastic wonders. Full disclosure: I have this toothbrush and I love it. It makes me feel like I’m at the dentist (in a good way) every time I use it. It has a built-in vibrating timer so you know when to switch sides of your mouth. It’s amazing. 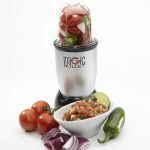 This personal blender is perfect for smoothies, sauces, and salsas. It comes with different sized cups with lids so you can blend and go! 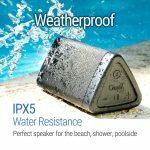 This portable Bluetooth speaker is water resistant and weatherproof, which makes it perfect for outdoor BBQs, pool parties, and beach days. 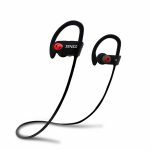 These headphones fit right over your ears, are controlled with Bluetooth, and have a convenient wire between them so you’ll never lose one. 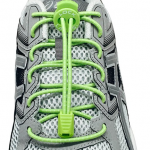 They’re perfect to use when going on a run or working out at the gym. 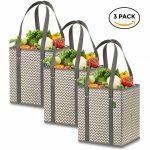 Gone are the days of flimsy plastic shopping bags breaking at the seams from the bulk of your groceries. These bags have reinforced bottoms, but they also collapse and become flat for easy storage. It’s a win-win if you ask me. 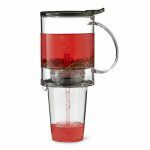 This tea infuser is so fun. Just pour your loose leaf tea in, pour hot water in, and let it steep for a few minutes. When you’re ready to drink, simply place the receptacle onto your mug and push down. Perfect tea pours out of the bottom! 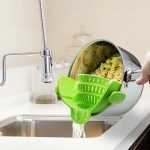 This strainer clips on to almost any pot or pan and will make your life so easy it’s not even funny. You need this. It’s a no-brainer. 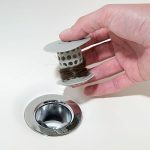 The Tub Shroom fits right into your bath drain and it collects hair and gunk better than any drain protector out there. The best part is that it’s so easy to remove and clean. 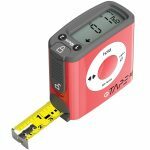 Get you a tape measure that does all the work for you. You’re already working hard on measuring something for some complicated home project. Let the machine do the math. 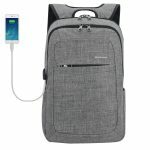 This laptop backpack is sleek and slim and has a bunch of anti-theft measures! It also has a built-in USB charging port, which is just about the smartest thing I’ve ever heard of. This backpack has it all! 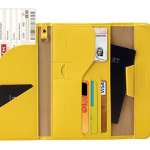 Not only is this passport wallet super cute, but it comes in a bunch of colors and it’s so convenient. It fits your passport and all your other most valuable documents and possessions. Just don’t lose it while you’re on vacation. 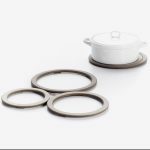 These three trivets fit right inside each other for easy storage. 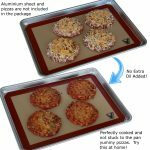 You can use one at a time or mix and match sizes to fit any size dish. This is the last set of kitchen bowls you’ll ever have to purchase, and they all fit right inside each other to take up the least amount of space possible. 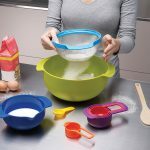 You get a full set of mixing bowls, a strainer, and a measuring cups! Whoever made this brilliant brush that perfectly cleans your knives and forks and spoons should be given a medal. 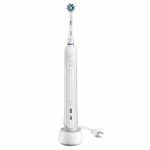 A big shiny one that can be cleaned with this amazing brush. This mushroom night light is perfect for kids and adults alike! 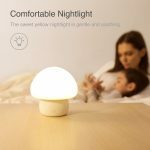 Its soft light will lull you to sleep perfectly. You need knives that won’t get duller and duller every time you put them back in a block of wood. 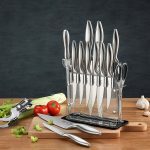 This 14-piece set will stay sharp and usable much longer than any other. More than 1,000 people who’ve reviewed this agree! This BBQ is a pair of tongs, a spatula, a fork, a bottle opener, and a toothed tong all at once. 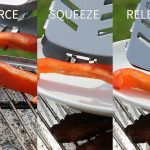 Impress your friends with your grilling skills with this bad boy this summer. 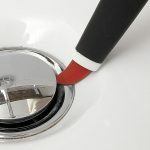 These small but powerful brushes will help you clean those hard-to-reach spots that you usually just give up on. Perfect for that deep spring cleaning you’re definitely about to do. True confessions: Sometimes I don’t bake or cook just because I’m dreading the clean-up afterward. 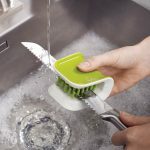 With these non-stick silicone mats, it’s as simple as a soapy rinse and a wipe. 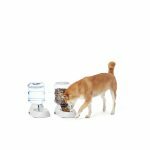 Cut down the time you spend feeding and getting water for Fido with these gradual pet feeders and waterers. Your furry friend will love you even more than he does already, and that’s saying something. 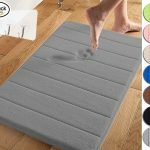 Stepping on memory foam is just one of the best feelings in the world. Now imagine doing that every day when you step out of the shower! 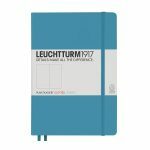 This the gold standard for dotted notebooks. It comes with numbered pages, an index for you to fill in, and two bookmarks. And while I really like this color, it comes in many more. 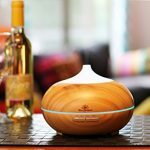 This essential oil diffuser will make your whole living space way more pleasant. It’s a guaranteed mood-lifter, and who couldn’t use one of those these days? 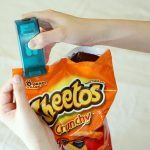 This heat bag sealer is so fun to use that you might actually not finish your bag of Cheetos just so you can seal it up again. Look at that! It’s a healthy-eating tactic! 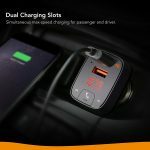 Plug this little guy into your car and you have an automatic car charger, a Bluetooth connection to stream music, and an FM connection. 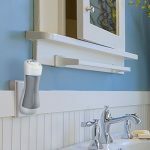 Kill germs and gross stuff in your air with this tiny little air purifier and deodorizer. Whether it’s weird smells caused by smoking, pets, or stinky stuff in the bathroom, this guy will get rid of it. The magnetic car mount is one of the greatest inventions of the last century and I will die on that hill. I’ve had mine for years and it’s still working like a gem. Simply slide a thin magnet between your phone and your case and it will stick to the magnet mount forever and ever. Admit it: You’re really bad at slicing cheese. Sometimes it’s way too thin, but then you try to make it thicker and you totally overcompensate. 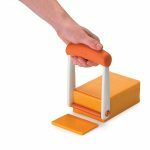 Well, this contraption will help you create the perfect slice every time. The dial on the side lets you adjust the thickness to your liking. 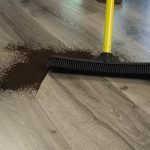 This rubber broom cleans everything, but it’s particularly magical when it comes to scraping up pet hair. There’s a built-in squeegee for messes of the liquid variety too. One of my very first memories is yelling at my mom because it hurt when she was trying to brush my hair. Cute, right? The unique shape of these bristles gently separates your hair instead of tearing it and creating worse knots. Time to throw out your dollar store nail clippers and invest in a pair that’s built to last (and cut) forever. 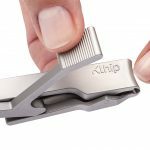 Khlip’s Ultimate Nail Clippers don’t come cheap (and they’re often sold out), but you get what you pay for: a beautifully-made, hefty set of clippers with an innovative and wildly effective design. Didn’t think someone could get excited about nail clippers? Well, think again. And check these guys out.